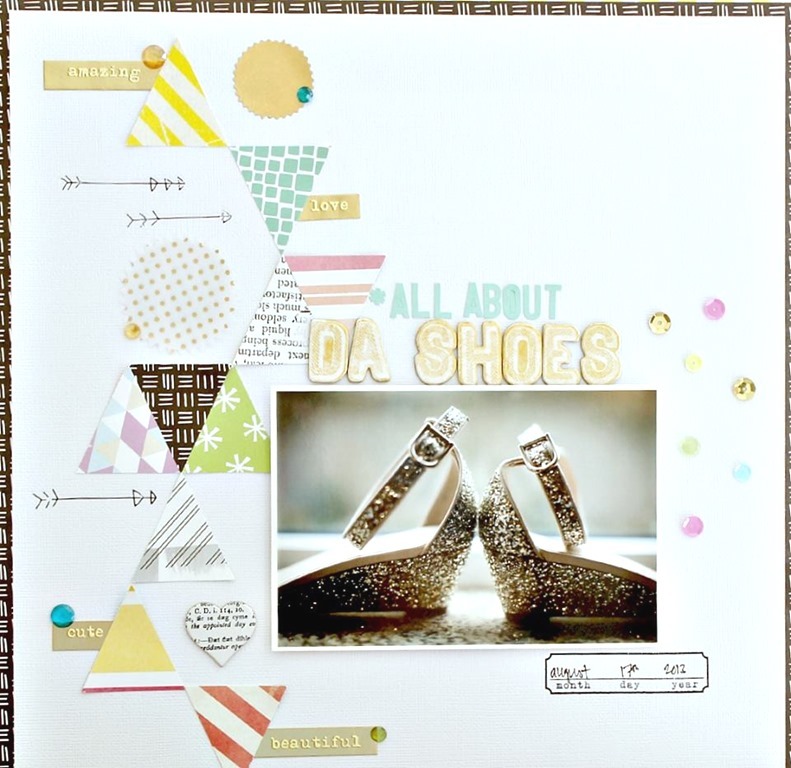 Hey there, Kate Kennedy with my last layout using our fabulous April Hip Kit! For this one I took inspiration from our April Layout Challenge Mood Board. I love the picture of the quilted triangles and used that as the design for my page. Make sure to check out the video below to see how I created my project. Also, head over to our Hip Kit Club website to see are fabulous May Hip Kits. You do not want to miss this! Thanks so much for stopping by! Hip Kit Club process video by Kate Kennedy (aka Kraftinkate on YouTube) featuring our April 2014 Hip Kit & Add-On Kits.